Scientists conducted research on conventional and organic farms to arrive at dollar values for natural processes that aid farming. Their research found that organic farming systems do a better job of capitalizing on nature's services.This study quantified the economic value of biological control of pests and the release of nitrogen from soil organic matter into plant-accessible forms. Values of these services averaged $146 per acre each year for organic systems. USDA is seeking nominations to fill five vacancies on the National Organic Standards Board (NOSB): two farmers, two consumer/public interest representatives, and one USDA-accredited certifying agent. Appointees will serve a five-year term. Nominations are due on or before May 15, 2015. According to the 2015 Locavore Index, the four states that do best in consuming locally produced food are Vermont, Maine, New Hampshire, and Oregon. The ranking of all 50 states is compiled annually by Strolling of the Heifers, a Vermont-based local food advocacy group. The full ranking by state is available online. NC Choices has released a six-part video series on processing local meat products in North Carolina. The online videos illustrate some of the services available at small-scale processing facilities that can add marketability for farmers selling local meat products. The videos include topics such as "How to Choose a Processor That's Right for You" and "Meat Yield: How Much Am I Getting Back." The U.S. Food and Drug Administration is issuing a proposed rule to amend and update its regulation on registration of food facilities. The proposed rule would clarify that the sale of food directly to consumers from an on-farm establishment includes sales by the establishment at roadside stands, farmers markets, and Community Supported Agriculture (CSA) programs. FDA is accepting public comments on the rule change. Water + Energy Progress has posted nine case studies of its 2015 award winners. The program identifies and spotlights innovations that save water and energy on Kansas farms and ranches. In addition to online profiles, Climate & Energy Project has a Vimeo page that features short videos of innovators. The Aetna Foundation's Local Roots grant program seeks to fund the creation and expansion of community gardens, urban farms, and farmers markets in underserved, low-income, and minority communities. Non-profits may apply for grants of up to $25,000 per year for up to two years. Applications must be received by May 6, 2015. The California Department of Food and Agriculture is accepting proposals for the Dairy Digester Research and Development Program, Phase II (Research). An estimated $500,000 in competitive grant funding will be awarded for research and demonstration projects that study and facilitate changes in manure management practices at California dairies. Proposals are due by May 15, 2015. NRCS in Kentucky is accepting applications for Conservation Innovation Grants (CIG) to stimulate the development, adoption, and evaluation of innovative conservation approaches and technologies related to water quality, soil health, and forage quality and quantity. CIG will fund projects up to three years long, up to $75,000 each. Applications must be received by May 22, 2015. The conference title is "Agroforestry as a Catalyst for On-Farm Conservation and Diversification." A pre-conference agroforestry field tour will visit a variety of agroforestry systems. Concurrent half-day advanced agroforestry workshops will be offered May 31. The main conference features keynote speakers, concurrent sessions, tours and field demonstrations, and poster sessions. Grass-fed beef producers will have the opportunity to learn more about marketing opportunities and production trends. The conference will cover a broad range of important topics pertaining to grass-fed beef production. 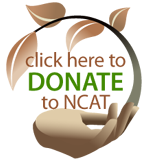 North Carolina Growing Together is offering a series of Postharvest Handling Workshops. Participants will learn approaches and technologies to maintain product quality and extend shelf life, limiting postharvest disorders and loss of sales. Can I substitute wet brewers grains for part of the corn-oats-barley rotation in finishing steers?